and to be good stewards of God’s world. All are valued and welcome to share the experience of Camp Koolaree. We are part of the ongoing miracle of creation and strive to make our actions harmonious with God’s world, present and future. Camp Koolaree will strive to help campers to grow socially, physically, emotionally, and spiritually while having fun. Mutual respect and integrity will be fostered and celebrated. Camp Koolaree will promote a safe and compassionate environment where all can contribute without worrying about bullying, competition, exclusion or denigration. Camp Koolaree will strive to build community through consensus and mutual esteem. While Christian in orientation, the camp will provide a God-centred focus through experiences in nature and experiences with others in community. Camp Koolaree will foster the understanding that the principles learned at camp apply to campers’ regular lives as well, and that they can use them after they leave to help create a happier and healthier world for all. 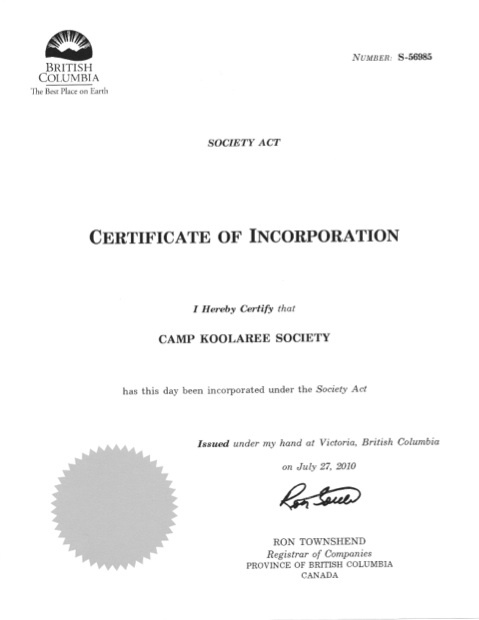 Camp Koolaree is a Registered Charity with Canada Revenue Agency and we are therefore able to issue tax receipts for donations made to the Camp. 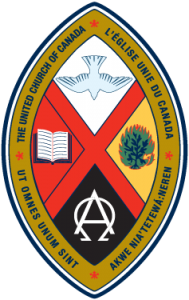 We are managed by a volunteer Board of Directors and are accountable to the Kootenay Presbytery of BC Conference of the United Church of Canada. We are also incorporated in the Province of British Columbia. 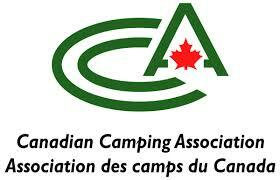 We maintain membership in BC Camping Association, the Canadian Camping Association and United Church Camps. As a “not for profit” organization we rely heavily on the generosity of all who believe in youth and family camping. 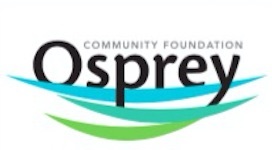 Please consider supporting Camp Koolaree, either by a donation or volunteering time as a Board member, summer camp staff, or participating in our camp clean-up activities.